Gamba Osaka reasserted their authority over Japan’s second city with a 3-2 win over Cerezo Osaka in an incident-filled derby at Banpaku on Saturday evening. Hosting their local rivals for the first time in four years, Gamba went into the game with a point to prove after Cerezo’s spectacular return to the top flight had left them trailing three points behind in the league standings. 18-year-old wonderkid Takashi Usami duly put the home side ahead in only the second minute, and their lead was doubled just ten minutes later when Sota Nakazawa headed home a free kick from Yasuhito Endo. The match saw a major flashpoint in first half stoppage time when Gamba defender Kazumichi Takagi was penalised for a foul in the 18-yard area immediately before a Cerezo corner. Incensed at referee Masaaki Iemoto’s insistence that the corner should be retaken rather than a penalty awarded, Brazilian forward Adriano then compounded the situation for the visitors by shoving Nakazawa and earning a red card for his troubles. Incredibly, the ten men of Cerezo rallied to draw level within ten minutes of the restart. Takashi Inui managed to place a speculative 25-yard effort inside Yosuke Fujigaya’s left-hand post, before Amaral pounced on a mistake by the goalkeeper to level the scores and send the pink fans behind the goal into raptures. Gamba quickly recovered their poise, however, and after hitting the woodwork three times, eventually secured a deserved three points when left-back Michihiro Yasuda scored from a narrow angle to register his first J. League goal in 101 appearances. The result sees Gamba join third-placed Cerezo on 40 points, eight points behind leaders Nagoya Grampus after Mu Kanazaki’s second half strike gave them a share of the spoils at home to Yokohama F Marinos. 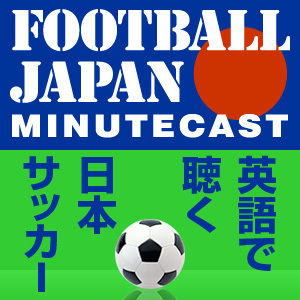 Kashima Antlers closed to within five points of the top as a first ever J. League hat-trick for Marquinhos gave the reigning champions a 3-0 win over Omiya Ardija, while Shimizu S-Pulse drew 1-1 at Urawa Reds to pull level with the two Osaka clubs. FC Tokyo boss Hiroshi Jofuku became the second J1 manager to lose his job within a week after a 2-1 loss at Jubilo Iwata saw the Nabisco Cup holders slip into the bottom three - ironically, to the benefit of Vissel Kobe, who drew 1-1 at Sanfrecce Hiroshima in Masahiro Wada’s first game in charge. Jofuku will be replaced in the capital by Kiyoshi Okuma, who originally took FC Tokyo out of the Japan Football League and up into J1 in a previous spell between 1994 and 2001. Elsewhere, Kyoto Sanga continued their slow revival with a 1-1 draw at Albirex Niigata, Vegalta Sendai gained valuable breathing space by beating Montedio Yamagata 2-0 in the Michinoku derby, while Shonan Bellmare remain rooted to the bottom after a dismal 6-1 home defeat to Kanagawa rivals Kawasaki Frontale.